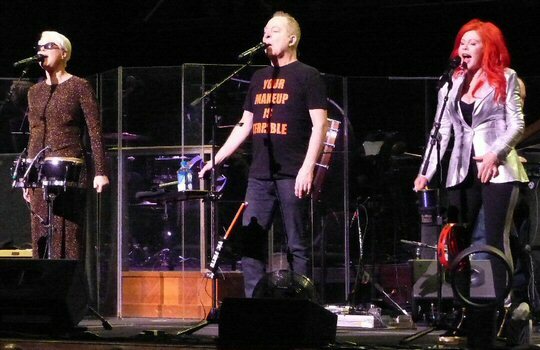 The B-52s teamed up with the Nashville Symphony for a two-night engagement at the Schermerhorn Symphony Center in Nashville, Tennessee on February 4th and 5th, 2016. For a band known for its novel music it was a new experience for the trio to perform with an orchestra. This was the first time the B-52s have presented their songs with a Symphony and they chose Nashville for the experiment. The B-52s were backed by a band along with the Nashville Symphony conducted by Vinay Parameswaran at the elegant Laura Turner Hall located in the heart of Music City. The B-52’s: Legendary party band takes the stage at the Laura Turner Concert Hall. Many consider the B-52s the world’s greatest party band. 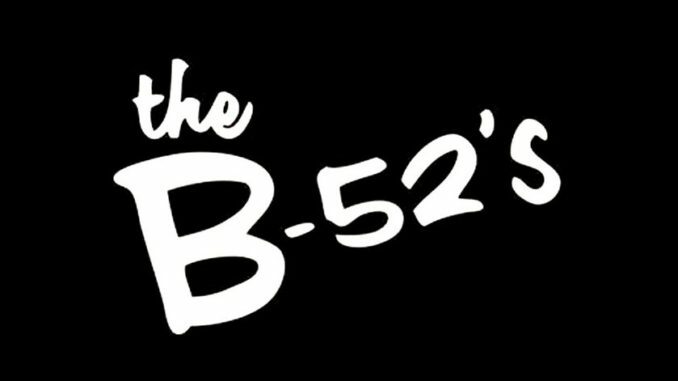 After 35 years and millions of records sold the B-52s continue to intrigue people with their unique pop/rock music including the mega hits “Love Shack”, “Private Idaho”, “Roam”, “Rock Lobster” and more. It’s not just their cool, slightly strange songs that keep fans coming back but their showmanship paired with style. All were on full display at the Schermerhorn on Thursday night. Before the concert the venue hosted an 80’s dance party with karaoke, music and a free photo shoot. The Nashville crowd greeted the trio with cheers as they took the stage dancing and singing. The B-52s are still a bubbly band who seamlessly blend new wave, pop and punk with good grooves. “Mesopotamia” was structured around sturdy rhythms paired with one to three part harmonies the foundation of their signature sound. “Is That You Mo-dean?” delighted fans with its snappy and spacey progressions. “Planet X” was peppy paired with sharp beats and vocals. Cindy Wilson and Kate Pierson presented a feisty “52 Girls” before taking a short break to allow the orchestra to take their places on the stage. 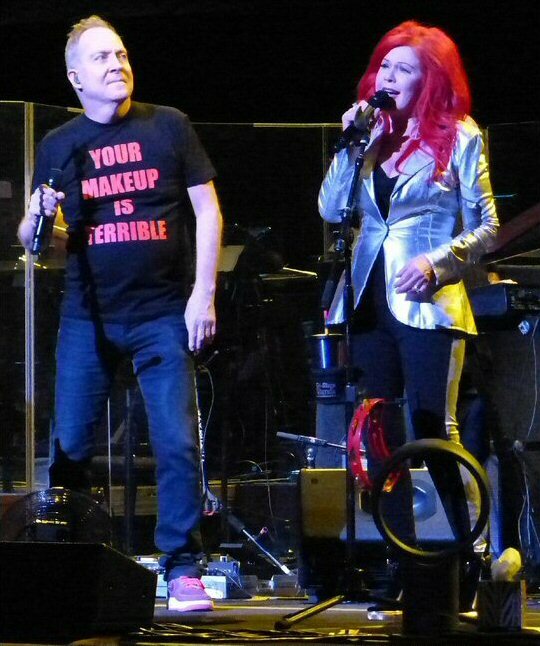 Fred Schneider and Kate Pierson get classy in Nashville. During the second half of the show the Nashville Symphony added horns, strings and more to punctuate an animated “Private Idaho”. Fred Schneider encouraged folks to get on their feet for “Dance This Mess Around”. He then invited fans to take a trip with them as they performed a rousing version of “Roam”. The Nashville Symphony added sparks to the spirited tune that fans had fun singing along to. “Love in the Year 3000” was lively with the orchestra adding more layers to the piece. Nashville fans danced to a crowd pleasing “Love Shack” that flowed into a colorful “Planet Claire” ending with a rocking “Rock Lobster” thus showing that the B-52 can conduct a dance party with an orchestra. It was a novel approach for a reputable band to showcase their music in a new fun format. Scenes from the Nashville Symphony featuring The B-52’s. The B-52’s show no signs of slowing down. The Nashville Symphony impeccably performs with eclectic artists that go beyond the well-established traditions of classical music. 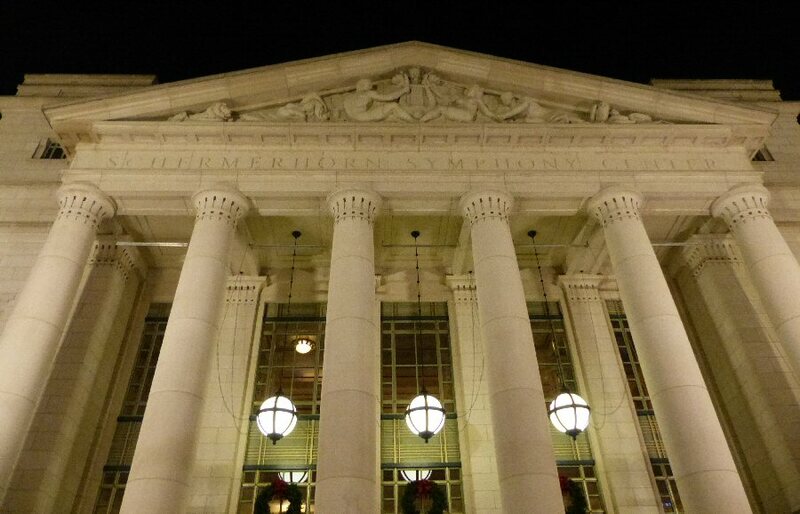 The Schermerhorn Symphony Center in Nashville continues to host a wide array of musicians such as the B-52s. Upcoming events in February 2016 include The Joy of Sextets, Willie Nelson, Sheryl Crow, Pictures at and Exhibition, The Music of the Eagles, Get Wild and Experience Hendrix. 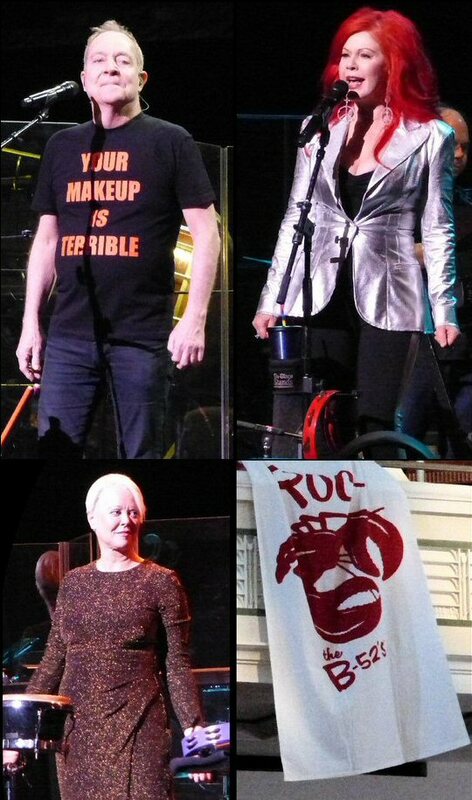 The B-52’s at the Nashville Symphony – From Rachmaninoff to Rock Lobster.